A few weeks ago, I shared a list of upcoming Neighborhood-related books that are scheduled to hit shelves this year. 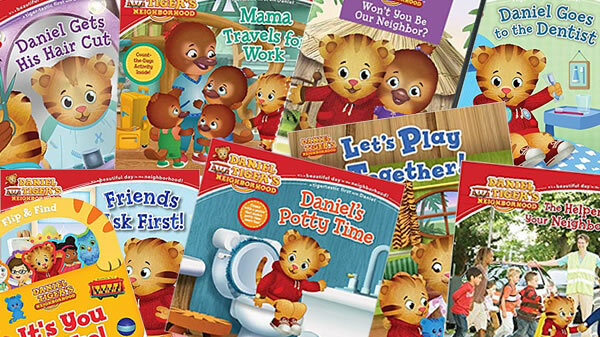 For the Daniel Tiger crowd, here's a list for you, too! 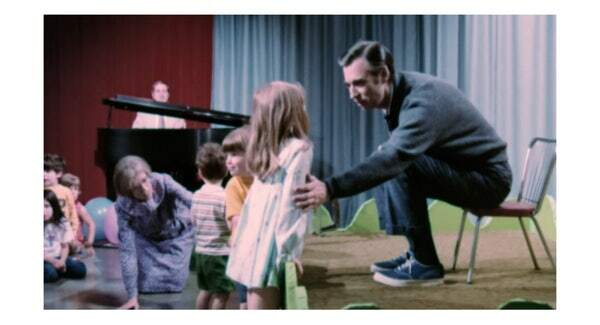 It seems as though there's more hype and hoopla in the year of the Tom Hanks biopic than there was celebrating the 50th anniversary of Mister Rogers' Neighborhood -- at least from a merchandise standpoint. Fire up those pre-orders and make room on your bookshelves, neighbors...there are plenty of Neighborhood books headed your way in 2019! Last summer, Pittsburgh-based Steel City released a line of Neighborhood merchandise and I regret not taking a look at it much sooner! These products are far more than the simple (and often poorly made and poorly designed) t-shirts you'd find at Target or Hot Topic. Not only is the quality of their products outstanding, Steel City is (obviously) invested in the culture of Pittsburgh making these products somewhat of a labor of love. While there are a ton of t-shirts available through Steel City, I chose to give a closer look at their other Neighborhood products. That said, I do have a t-shirt from Steel City and I can say in all honesty that it's one of the most comfortable t-shirts I've ever owned. But let's look at some other products. The cardigan coffee mug is heavy duty and ready for your morning cup of coffee. The back of the mug features a line familiar text: "It's a beautiful day in the neighborhood," but the cardigan design is certainly the big draw here. A very simple, yet creative design sure to spark a few conversations in your office break room. The hats offered by Steel City are easily my favorite items among this great line of products. 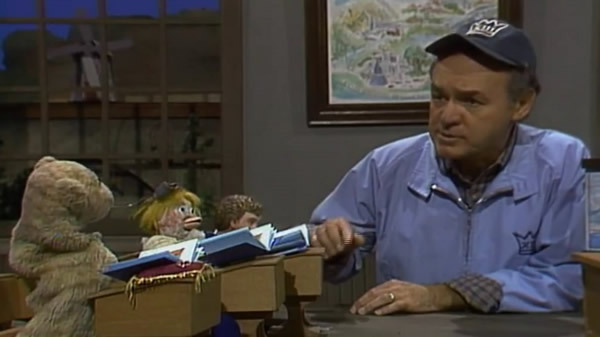 While I don't recall Mr. McFeely every wearing a cap in this style, the color of this strap-back cap and the patch are spot on with what you'd find on his regular uniform. The Neighborhood logo cap is simple and well made, but it's certainly my least favorite of the Steel City head wear options. My favorite? That's a tough one. Of the three strapbacks, it'd have to be the Handyman Negri cap. It's a terrific replica of the style regularly worn around the Neighborhood of Make-Believe by Mr. Negri himself. The beanie, though. The beanie! It's thick, it's warm, and it's such a fun product to cover your chilly noggin! Worth every last penny of its $20 price tag. And who doesn't need a pair of Neighborhood socks? From my neighborhood to yours, Steel City's Neighborhood line comes highly recommended! These are my new friends, Eleanor and Ben. 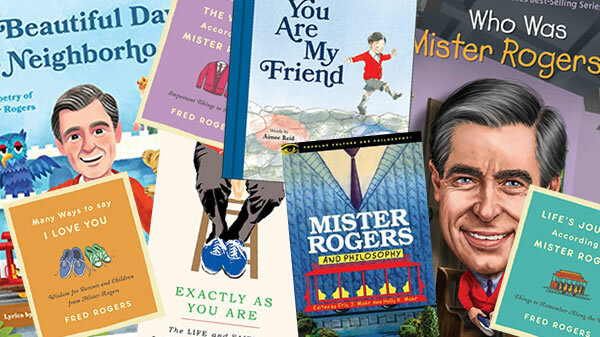 Eleanor and Ben contacted me a few weeks ago after reading the article about my Mister Rogers collection that ran in the newspaper back in February. Over the phone, Eleanor mentioned that they had something to contribute to my personal "archive." Today, just before I picked up my son from his martial arts camp (or "ninja camp," depending on who you're talking to), I met up with my new friends in a nearby Walgreen's parking lot. After introducing ourselves, Eleanor presented me with a homemade envelope which had been carefully sealed by weaving ribbon through holes punched along the edges. Inside were the piece of a well-loved Playtime Puppet Theater! These stick puppets had belonged to their children who, according to Eleanor and Ben, put on countless puppet shows for them several decades ago. The fun that was had with these puppets was evident in every crease, every worn edge, and every repair made with tape. As I collect Neighborhood memorabilia, I try my best to find items that are in the best condition possible. This collection, however, is a very welcomed exception to the rule. It gives me such a good feeling to hold these puppets that were once used by children playing the parts of characters from King Friday to Edgar Cooke. Adding to the charm, the original price tag remains on the front. Many thanks to Eleanor and Ben for going out of their way to share their story with me! Time for a new podcast, neighbors! Listen in to Episode 32 as Tim is joined by four guests who discuss the 50th anniversary of Mister Rogers' Neighborhood and some of their favorite Neighborhood moments!